Every year, millions of devoted fans travel to our nations largest cities to play unreleased video and board games, meet the stars of their favorite scifi shows, and attend panel discussions on fantasy worlds. Last year, 150,000 people attended New York City Comic Con, 130,000 people attended San Diego Comic Con, and more than 200,000 people attended one of the three Penny Arcade Expos located in Seattle, Boston, and San ... See More Antonio. About 65 percent of American households are home to someone who plays video games regularly. Board game sales are rapidly rising, and cafes and bookstores dedicated to tabletop gaming are springing up all over. Scifi, superhero, and fantasy are among the most widely loved And yet, the churchs default reaction to geek culture in recent history has ranged somewhere between guarded skepticism and ignorance. As has been documented, evangelical preachers commonly assume that video games are at best a waste of time and at worst destructive to spiritual health. It has been documented, however, that playing video games in moderation relieves stress, improves brain function, and boosts creativity. While video games and geek culture certainly contain their share of graphic violence, sexual objectification, and addictive qualities, much good can be found in these mediums as well. So how can apologists reach this unchurched group of nerds for Christ? 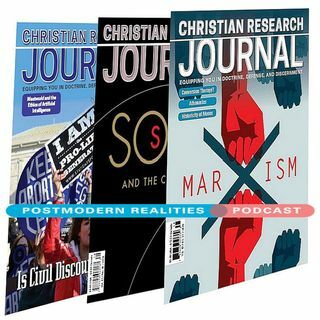 This Postmodern Realities episode is a conversation with JOURNAL author Drew Dixon about his Postmodern Realities article in Volume 40 6 called Comic Cons, Geek Culture, and the Mission of Christ.